13+ Scion FRS Computer Upgrade. Performance Computer for Scion FRS. Choose from Upgraded Computer Systems by AEM, Greddy, Unichip & More. FRS Computer Upgrades & Plug N Play Computer Harnesses are available for full tuning options. 13+ Scion FRS Gauges & Gauge Pods. Performance Gauges & Gauge Pod Mounts for Scion FRS. Whether you are NA or Forced Induction, its recommended to monitor the parameters of your engine. FRS Gauges & Pods are available in numerous styles. 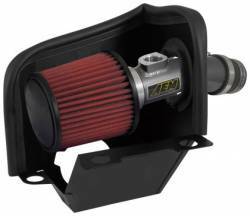 16-17 Scion iA Air Intake and Drop-In Air Filters by K&N, HPS, Injen, AEM and more. Gain airflow and power with an aftermarket air intake for your 2016 Scion iA or 2017 Toyota Yaris iA. 16+ Scion iM Air Intake & Filter. Cold Air & Short Ram Air Intakes for your Scion iM along with drop-in air filters. Filters available in Oiled or Dry versions. Scion Strut Bar. Aftermarket Strut Bar & Tower Brace for Scion FRS, iQ, tC, xA, xB & xD. 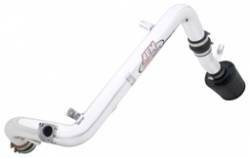 Choose from Scion Strut Bars by Cusco, Password JDM, NRG Innovations, Tanabe & More. Scion Strut Tower Braces will eliminate Strut Tower Flexing. 05-10 Scion tC Gauge. Aftermarket Gauges for Scion tC. Choose from Performance Gauges by Autometer, AEM & More. Monitor your Engine Parameters with Multiple Gauge Options, Colors & Features. Perfect for NA or Forced Induction Scion tC. 11-15 Scion tC Air Intake & Filter. Short Ram or Cold Air Intake for Scion tC2. 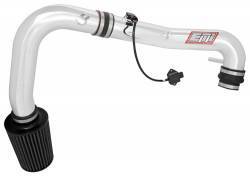 Choose from AEM, AFE, DC Sports, K&N, Injen, Weapon R & Takeda Air Intake Systems. 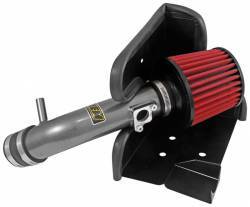 Scion tC2 Performance Intake provide increased airflow to your 2ARFE Engine. 11-15 Scion tC Strut Bar. Aftermarket Strut Tower Bar / Brace for Scion tC2. Eliminate Strut Tower Flex with a Performance tC2 Strut Bar. Scion tC Strut Braces by AEM, Tanabe and Weapon R are finally available. Improve lateral handling. Scion Tuning Parts. Aftermarket Computer Upgrades and PNP Harness for Scion FRS, tC, xA & xB. Upgrade with Scion Tuning Parts for optimized Fuel & Timing Curves for modified NA or Turbo Engines. 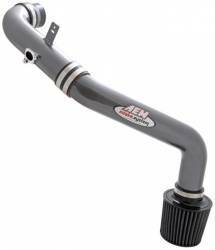 Choose from AEM, Greddy, Unichip and More. 04-06 Scion xA Gauge. Aftermarket Gauges for Scion xA. Choose from Performance Gauges by Autometer, AEM & More. Monitor your Engine Parameters with Multiple Gauge Options, Colors & Features. Perfect for NA or Forced Induction Scion xA. 04-06 Scion xA Tuning Parts. Computer Upgrades for Scion xA. Choose from Piggy-Back or Standalone Computer Upgrades by AEM, Greddy & More. Plug N Play Computer Harness available to eliminate the need for custom wiring and/or splicing. 04-06 Scion xB Gauge. Aftermarket Gauges for Scion xB. Choose from Performance Gauges by Autometer, AEM & More. Monitor your Engine Parameters with Multiple Gauge Options, Colors & Features. Perfect for NA or Forced Induction Scion xB. 04-06 Scion xB Tuning Parts. Computer Upgrades for Scion xB. Choose from Piggy-Back or Standalone Computer Upgrades by AEM, Greddy & More. Plug N Play Computer Harness available to eliminate the need for custom wiring and/or splicing. 08+ Scion xB Gauge. Aftermarket Gauges for Scion xB2. Choose from Performance Gauges by Autometer, AEM & More. Monitor your Engine Parameters with Multiple Gauge Options, Colors & Features. Perfect for NA or Forced Induction Scion xB2. 08+ Scion xB Tuning Parts. Computer Upgrades for Scion xB2. Piggy Back or Standalone Tuning Upgrades from AEM, Greddy & Unichip. Optimize Fuel and Tuning Curves with an Aftermarket Computer Upgrade. PNP Harness also available. 08+ Scion xD Engine Performance Parts. 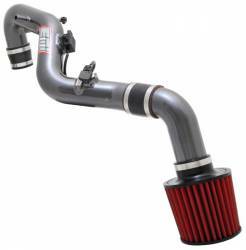 Aftermarket Performance Parts include Air Intake & Filters, Headers, Exhaust Systems, Mid Pipes, Computer Upgrades & More. Increase Power and Fuel Efficiency with xD Engine Performance Parts. Description: 2016 Scion iA Cold Air Intake System by AEM 21-804C. This AEM Intake for the Scion iA & Toyota Yaris iA produces 7hp and is available in AEM's Gunmetal Gray Finish. Description: 16-17 Scion iM Cold Air Intake by AEM 21-776C. Available in Gunmetal finish, the AEM Air Intake for the Scion / Toyota Corolla iM is a clean setup that makes over 5hp/5ft-lbs of torque. Description: AEM Digital Oil / Fuel Pressure Gauge 30-4401. 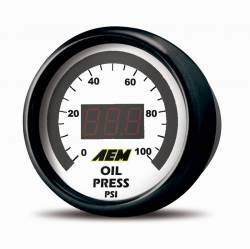 AEM Digital Fuel Pressure Gauge is a popular product of the AEM Lineup. 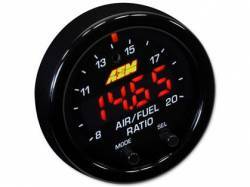 AEMs Fuel Pressure Gauge is available in Black or White Gauge Faces with Silver or Black Gauge Outer Bezels!!! Description: AEM Front Strut Tower Brace / Strut Bar for 11-16 Scion tC2 AEM 29-0007. Newly released AEM Scion tC2 Strut Bar fits 11-16 Scion tC. Description: AEM X-Series OBDII Wideband UEGO AFR Sensor Controller Gauge 30-0334. The perfect wideband Air Fuel Gauge for custom tuning options.